A place where family and friends congregate, the kitchen is often described as the heart of the home. A kitchen is the home’s epicentre and must have the capacity to both entertain and bring happiness to those who live there. Here are some of the best kitchens currently on the market that will warm your heart and have your stomach rumble. 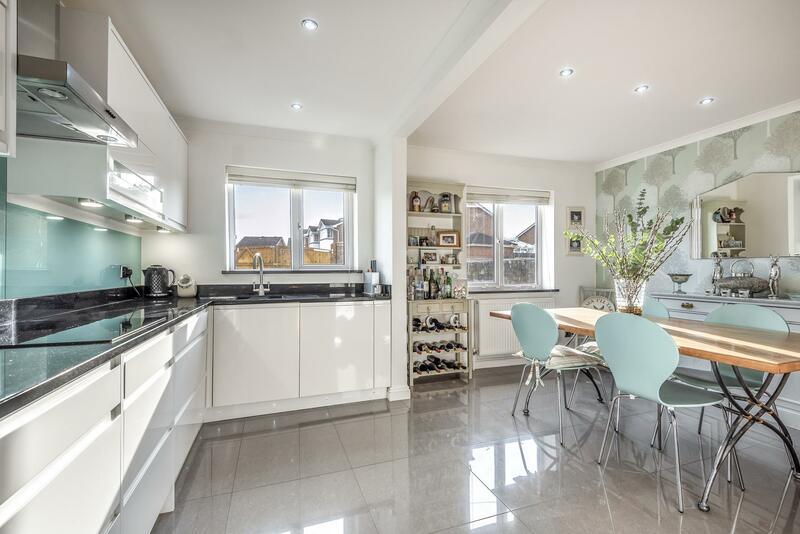 Conveniently situated for sought after schools of Becket Keys, St Helens and St Thomas, this beautiful four-bedroom home in Brentwood, has an exceptional luxury fitted kitchen in slate grey finish. The solid wood worktops and copper furniture provides a superb contrast to the tiled floor and white walls. 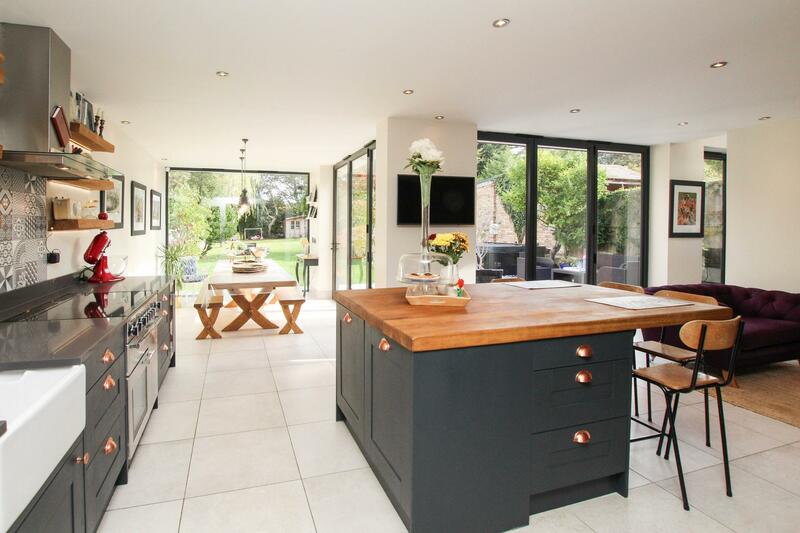 Three sets of bi-folding doors mean that this area of the house is bathed in natural light and a central island makes an ideal spot for breakfast or casual dining. 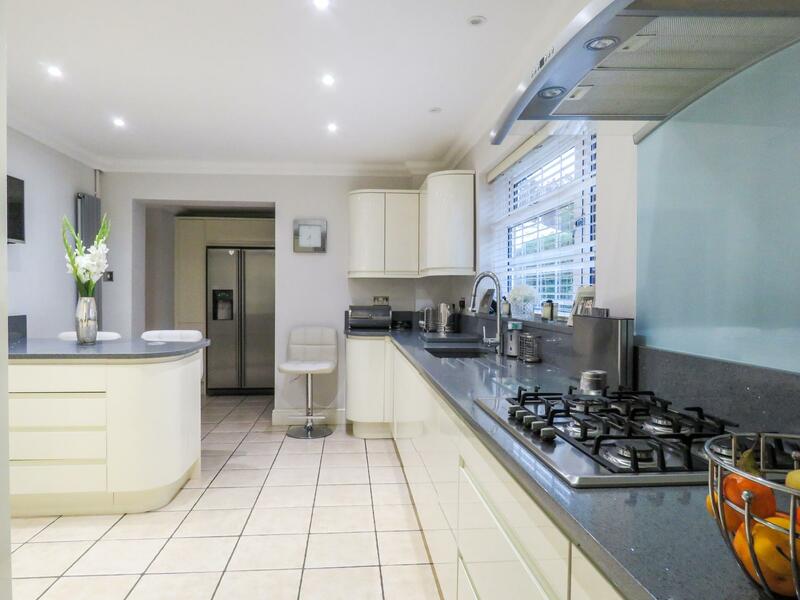 A stunning detached residence situated within St. Ives, this four double-bedroom home has been extended to provide bright and spacious living accommodation and is immaculately presented throughout featuring a beautiful refitted kitchen/breakfast room. Fitted with a range of base level and eye level units, the kitchen consists a half sink bowl with mixer tap and drainer, a five ring Neff gas hob with extractor hood and built-in Bosch double oven. Other features include an integrated fridge and freezer, dishwasher, wine fridge and break bar. Set within an outstanding and secluded plot that extends to around 0.6 acres, is this fabulous and luxurious family home with 5,144 square feet of magnificent living space. 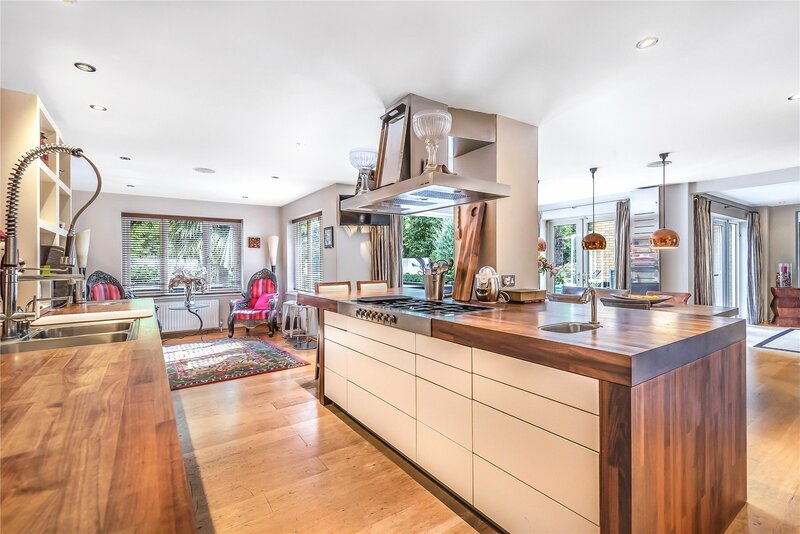 The whole property has been designed and modelled both inside and outside for those who love entertaining with the kitchen a prime example. The open-plan design and island-based gas hob, lend themselves to sociable dinner parties. Wooden worktops and inset stainless-steel sinks with mixer tap, finish the sophisticated, clean look of the kitchen. Constructed in 2001, New Down House is an immaculate, four-bedroom detached residence in an elevated position on a hillside with views of the Bristol Channel towards the Welsh Coastline. 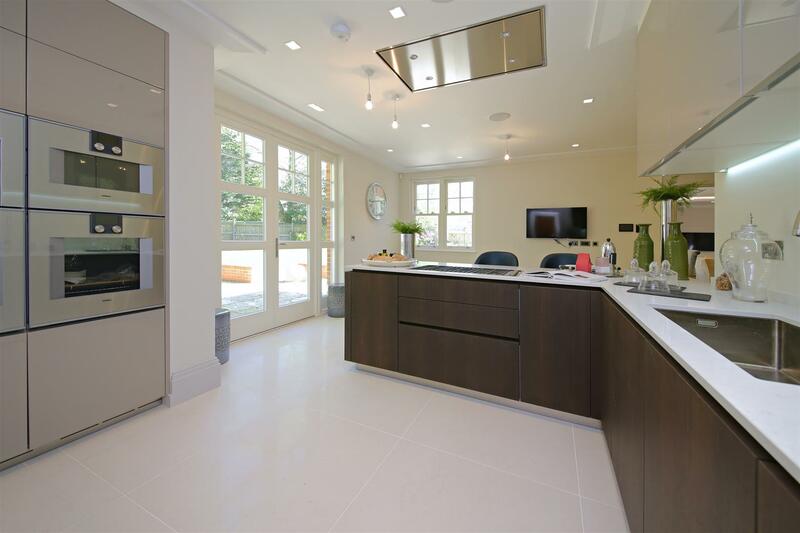 At the front of the home is a stunning kitchen and dining room fitted with white high gloss units contrasting granite worktops, stainless steel sink and swan-neck mixer tap. Other standout elements include integrated appliances, porcelain tiled floor, recessed spotlighting and a concealed Valliant gas fired boiler with Natatmo smart thermostat capable of remote operation via smart phone. Built circa 1939 in the former orchards of the Royal Precinct of Shaftesbury Abbey, itself founded by King Alfred the Great in 888 A.D, this three-bedroom home was the first religious house built solely for women. 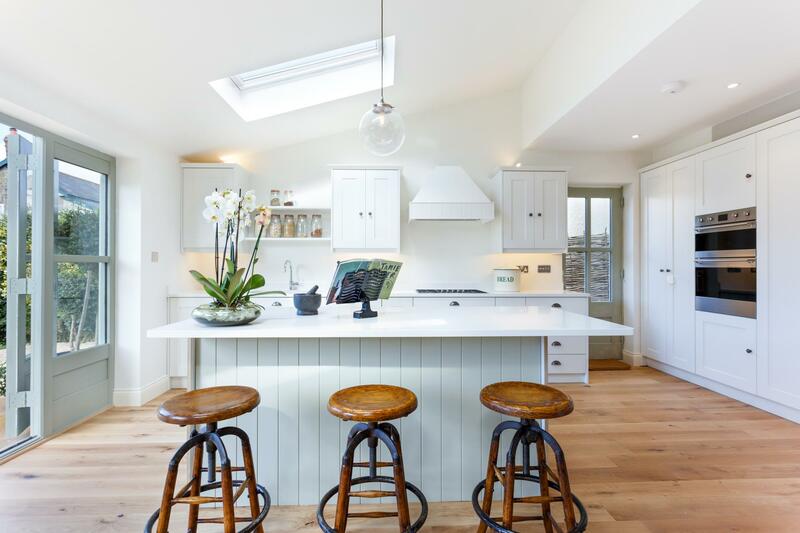 The entire property has been re-modelled to an exceptional standard, featuring a bespoke, hand-crafted and hand painted kitchen by an award-winning local firm in Dorset. The kitchen is fully equipped with Italian quality Smeg appliances throughout. 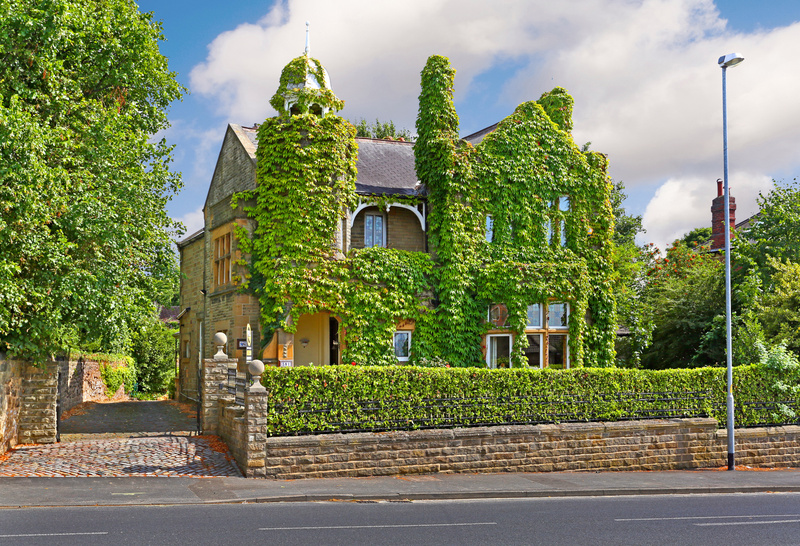 A semi-rural retreat, the Brandfield House is located a short drive from Doncaster Town Centre through Cusworth, past the historic natural beauty, Cusworth Hall. 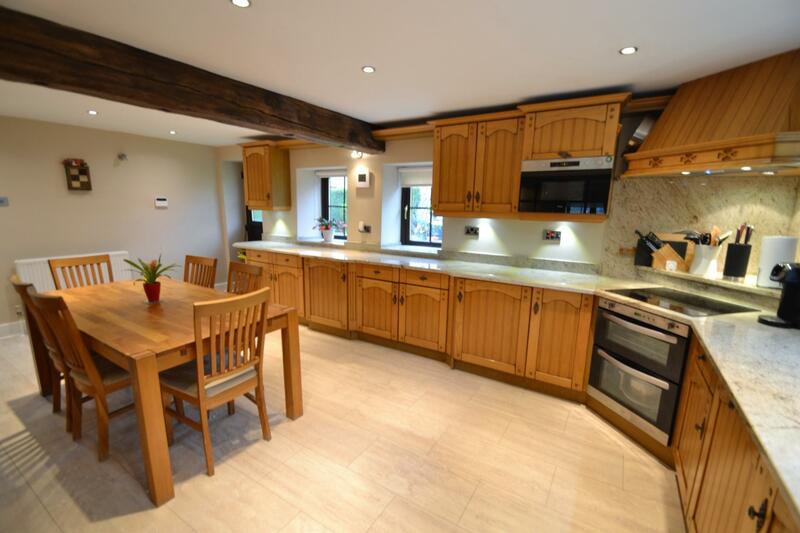 The country style kitchen in the home is large enough to accommodate an eight-seater table. A blend of modern and traditional, the design of the kitchen includes exposed wooden beams, ceiling spotlights and granite work tops. The warm wooden units house an under counter fridge, freezer, dishwasher, washing machine, electric fan assisted oven with separate grill and a microwave. Located high on Stanmore Hill, shielded by trees and set behind a gated entrance, The Cloisters represents a rare opportunity to live in an exclusive development of just ten elegant detached properties in a stunning environment. One of the four-bedroom properties in the development, called The Ash, is arranged over two floors with a large open-plan kitchen on the ground floor which is ideal for entertaining. High-gloss finishes, crisp white worktops, integrated appliances and stainless-steel inset sinks, all work together to create a contemporary elegant space. 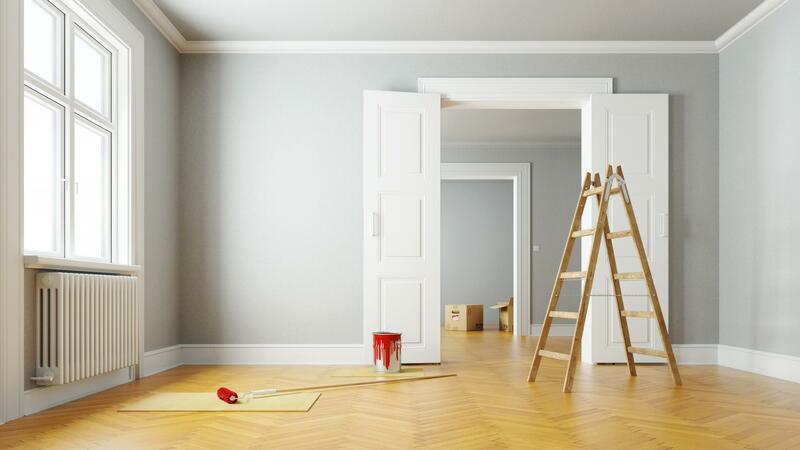 We are an independent, friendly, dynamic and pro-active firm of agents, that takes pride in marketing residential property at all levels and price ranges with a first class standard of presentation and a service that is second to none. Brookbanks LTD. Registered in England. Company No: 05007887. Registered Office Address: 73 Lowfield Street, Dartford, Kent, DA1 1HP.